Description This function will morphologically dilate the 8 bit grayscale image. 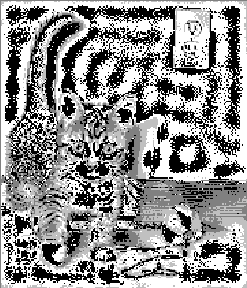 The function works for only 8 bit per pixel grayscale images. Graylevel dilation of an image is used to smooth small negative graylevel regions. Graylevel dilation is defined as the maximum of the sum of a local region of an image and a given graylevel mask.